Uchechukwuka (oo-chay-choo-koo-ka) Emmanuel Elueze (eh-luh-way-zay) was born in Nigeria. Fate has led him to Hollywood. In this one man show; we’ll explore how this happened. 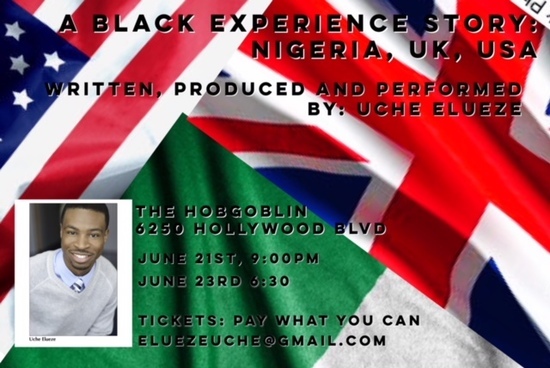 The show starts from the place of Birth (Nigeria); to current (Hollywood Fringe Festival). What events, themes transpired in his life for him to become an Actor.